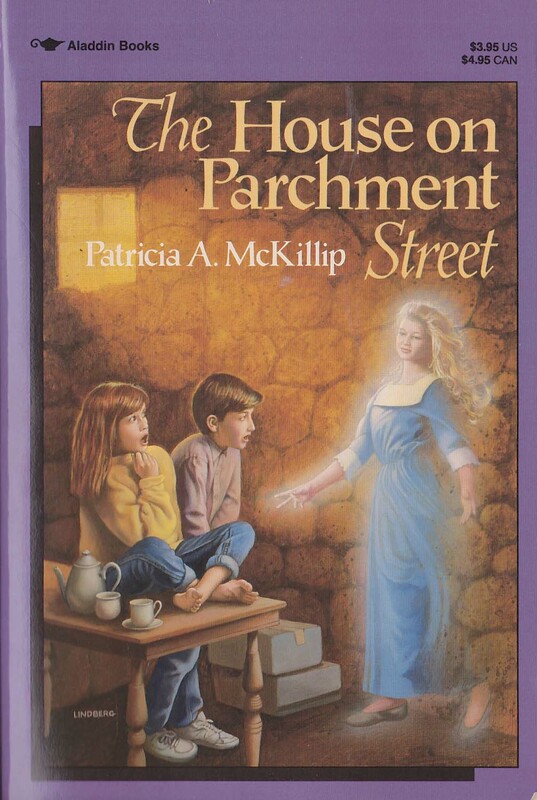 This was Patricia McKillip’s first published work. 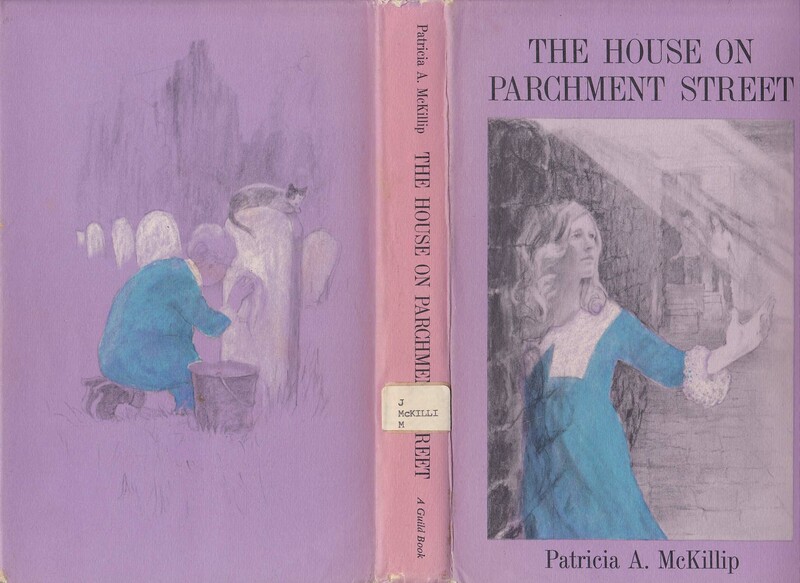 Carol and her cousin Bruce don’t get along at all – until they discover that they have both seen ghosts in the dark, musty cellar of the big old house on Parchment Street. The ghosts need help, and it is up to this twosome to solve the mystery behind the ghosts’ despair. As Carol and Bruce piece the clues together, they realize that these are no ordinary ghosts – they’ve been roaming the cellar for three hundred years. And three hundred years has only made their troubles worse. Can Carol and Bruce set things right again? Carol Christoper puffed her cheeks, sighed, and sat down on her suitcases in the middle of Parchment Street. The street was old and worn; it ended abruptly, running into a broad empty field in front of her. On one side of the street was a graveyard. On the other side was a high stone wall with a closed gate. Behind the stone wall stood the house where her cousin, aunt, and uncle lived. She had come from California to spend a month here, in the small English town where her uncle taught history and her aunt and cousin tried to survive the historic but cold, drafty, and sometimes downright unpleasant old house. Carol’s visit got off to a poor start. She did everything wrong. And after one meeting she and Bruce, her cousin, were actively avoiding each other. Only when they unexpectedly shared a discovery did they find a meeting ground: they both knew the cellar had ghosts and no adult seemed to see them. Those ghosts had problems, too: had had them for 300 years, Carol and Bruce decided. It was time someone did something. And in pooling their efforts to help the ghosts, they found ways to solve some of their own all to real, all to living, everyday problems.